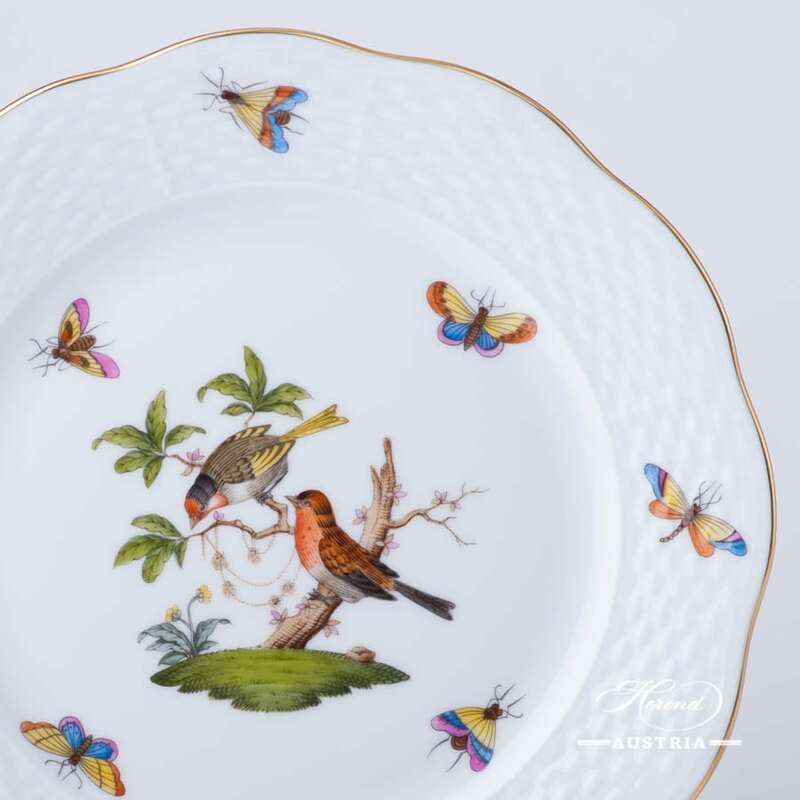 Dessert Plate – Rothschild Bird RO pattern. 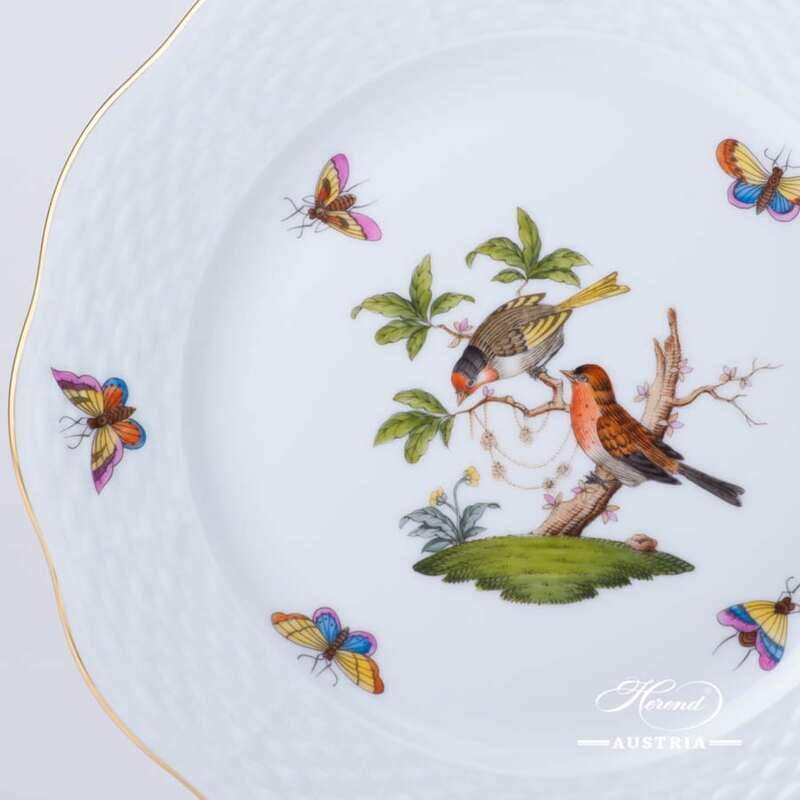 Herend fine china – 517-0-00 RO classic design. 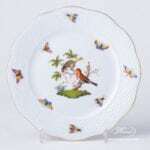 Dessert Plate is painted in Couple of Birds pattern. 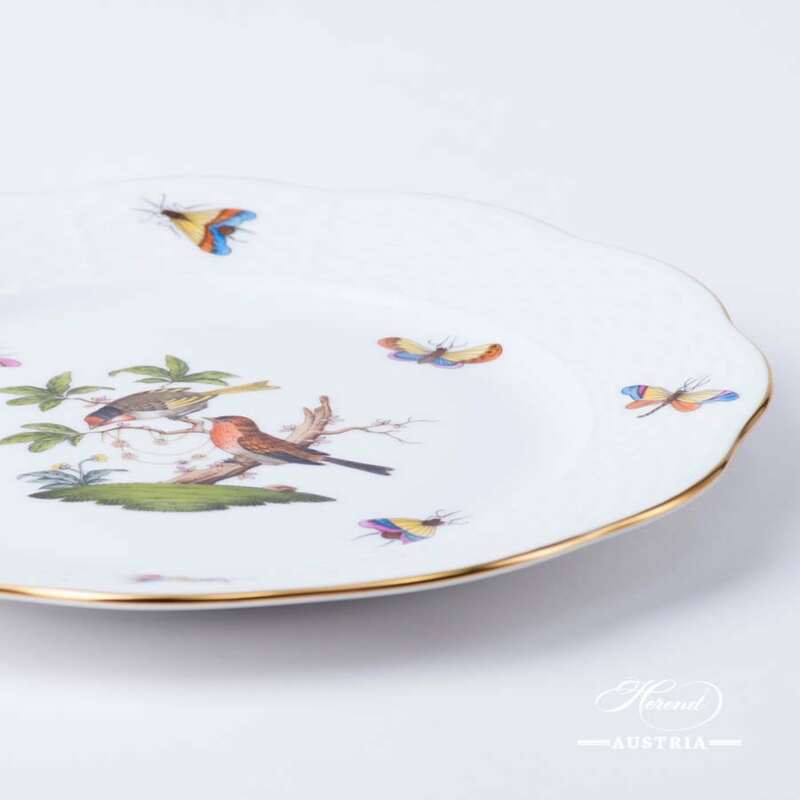 Rothschild Bird – RO pattern – Herend Dessert Plate. Oriental Showmen Dessert Plate - 2521-0-00 FODOS - Herend Porcelain The Oriental Showmen FODO Decor is multi coloured. This Herend porcelain Dessert Plate painted with FODO-Simple Decor - FODOS-3. 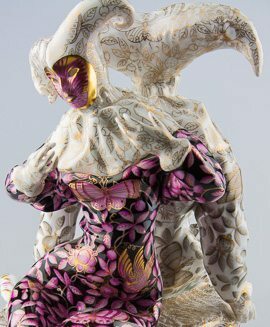 The FODO Decor painted with different Oriental Showmen and Animals.